Smooth as silk. 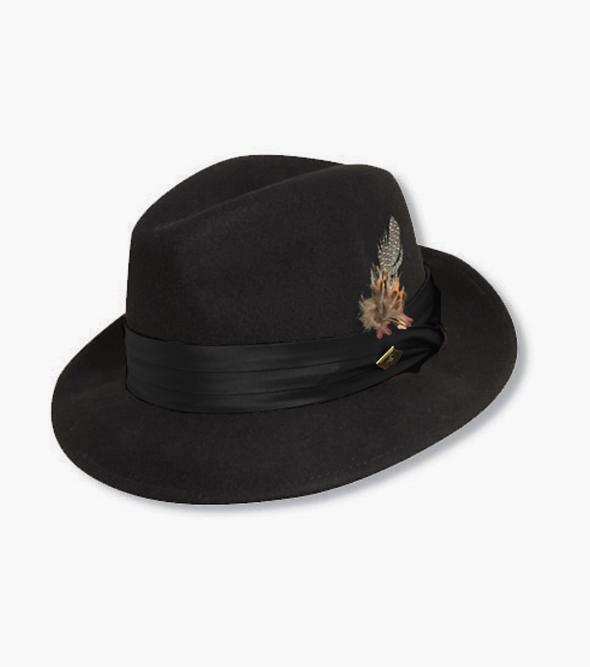 This crushable wool felt fedora features a removable pheasant feather detail, a Stacy Adams side pin, and satin lining with a leather sweat band. But what really sets it apart, and gets it noticed, is the tonal, triple pleated silk band.